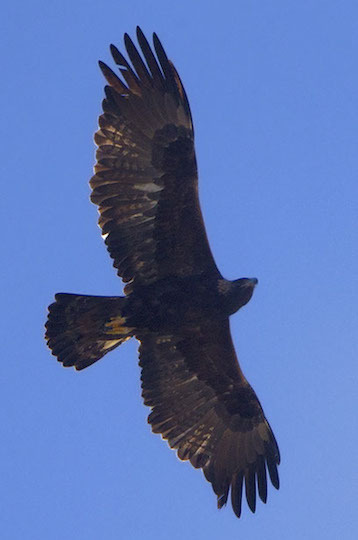 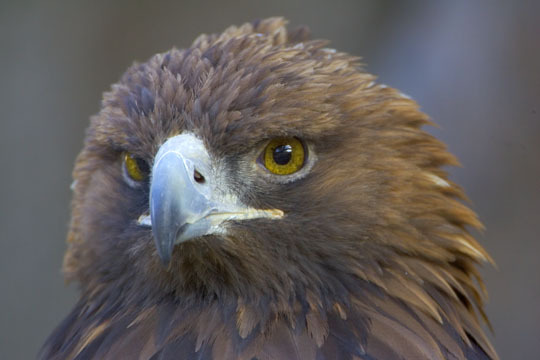 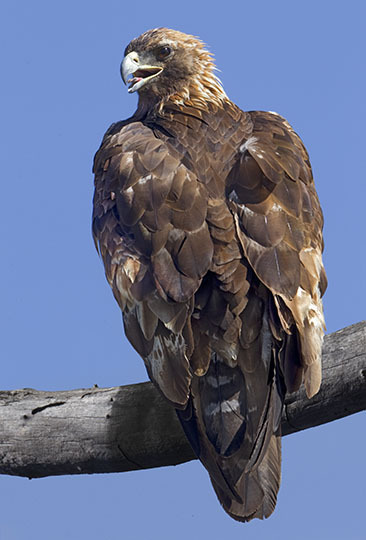 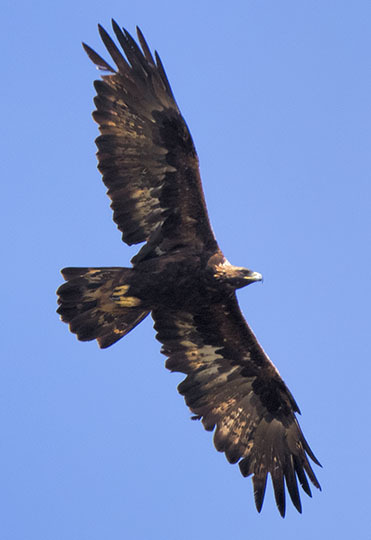 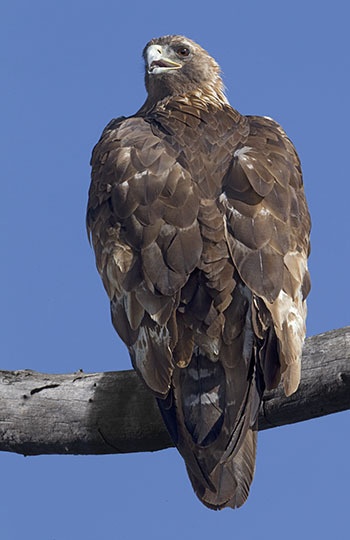 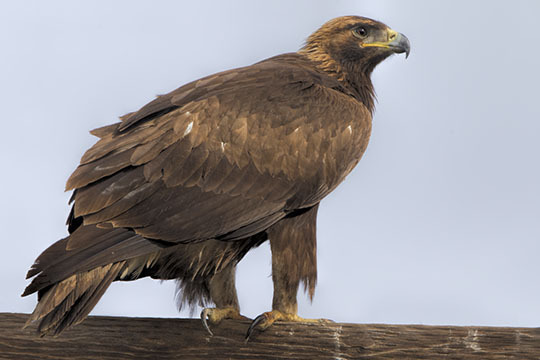 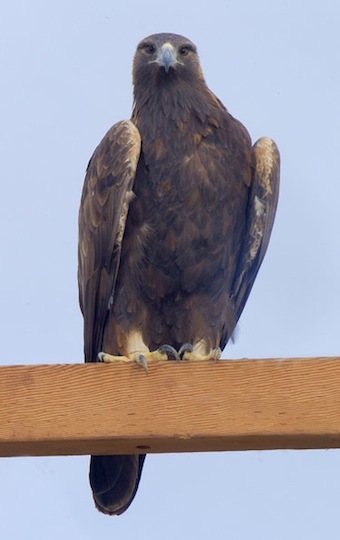 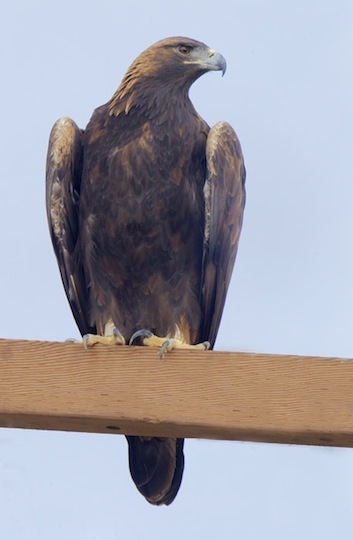 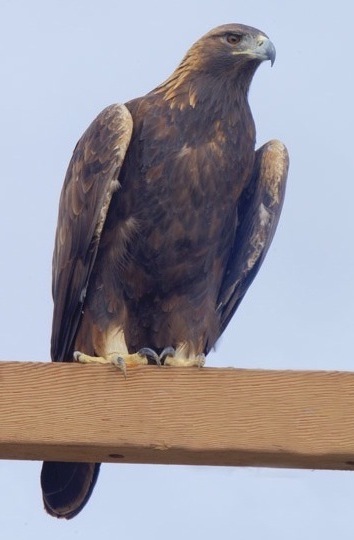 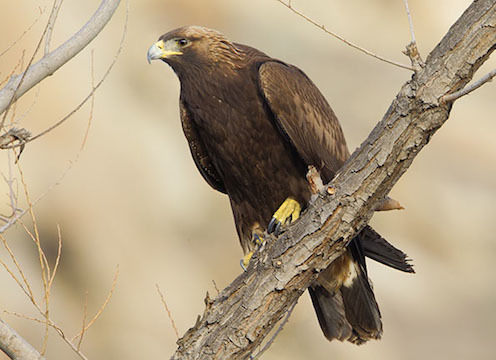 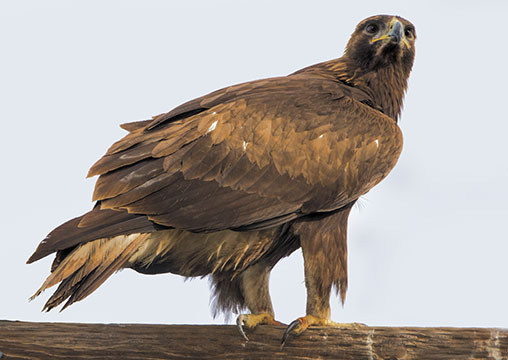 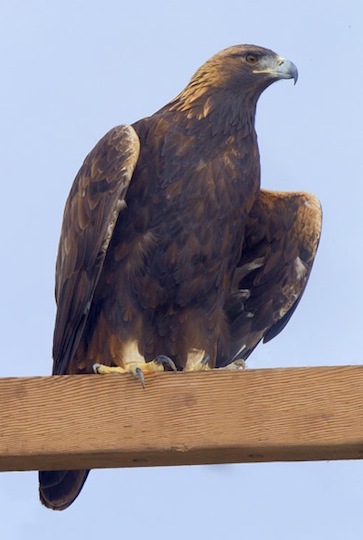 Golden eagles are widespread and not uncommon in many places in western North America. 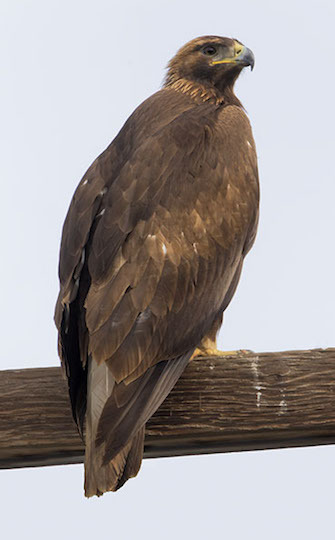 The adult eagle on the power pole was in the Carrizo Plain in southern California. 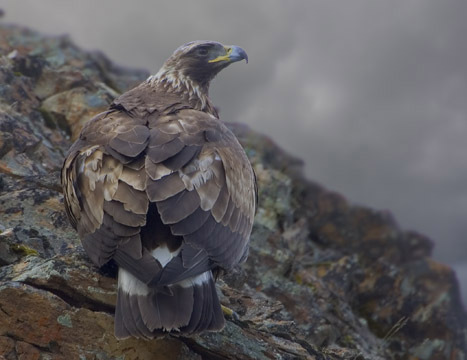 The juvenile eagle below at left (identified as such by the extensive white in the tail feathers) briefly perched on a rocky ridge in Denali National Park, Alaska; the other birds were in California. 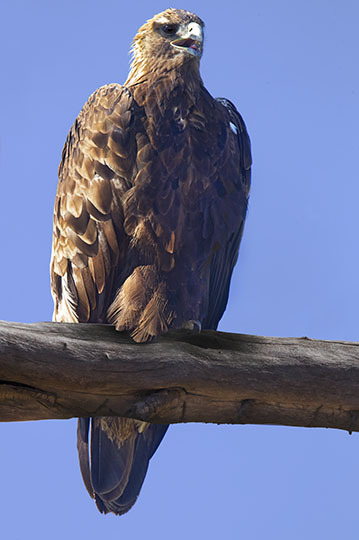 The portrait is of a captive bird. 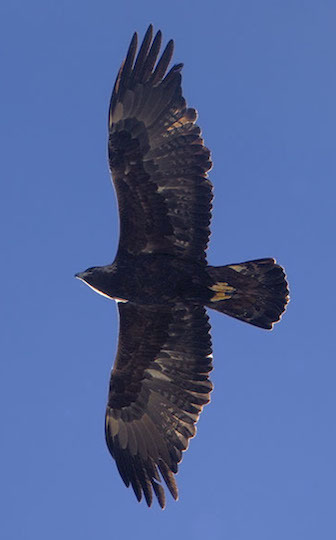 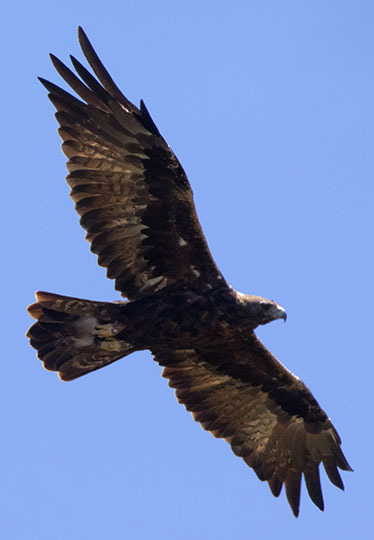 Images of juvenile eagles soaring with common ravens are here; photos of a very accommodating juvenile bird are on here.